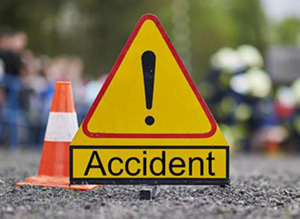 Mangaluru, Oct 26, 2018 : In a tragic incident woman killed in scooter-truck collision near Mudipu on October 26, Thursday. Zubeida (35) resident of Panela is identified as the deceased. Reports said that Zubieda along with her husband Ismail where on their way to Mudipu from Panela. A stone laden truck collided head-on with their scooter. Zubeida was seriously injured died on the spot whereas Ismail is being treated at hospital.